Michael Frugé is a founding partner in the law firm of Clayton, Frugé & Ward. His primary practice is in the area of serious personal injury litigation with an emphasis on cases involving 18 wheelers, death, and plant explosions. He has handled numerous bench and jury trials throughout the state. In the eleven years since the law firm was formed, Mr. Frugé and his law partners have negotiated settlements and obtained jury verdicts in excess of six hundred million dollars, including the largest jury verdict in the State of Louisiana for a single injured plaintiff. Michael has also been recognized in the 2017 National Verdict Reporter for having one of the top 100 jury verdict amounts in the nation that year. In addition, Mr. Frugé has also served as an Assistant District Attorney in the 18th Judicial District Court for the last six years, where he handles all of the asset forfeiture cases. Michael is also the current President of the 18th Judicial District Court Bar Association, which includes Iberville, West Baton Rouge and Pointe Coupee Parishes. Michael has also been asked to and lectured on pretrial practice for the State Bar Association. Prior to forming Clayton, Frugé & Ward, he was a partner at Breazeale, Sachse & Wilson and concentrated on commercial and casualty litigation. 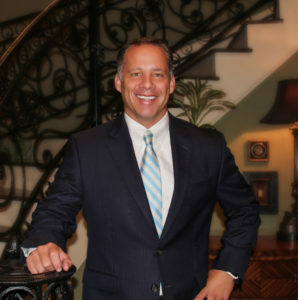 Mr. Frugé is a member of many professional organizations including the Louisiana Bar, Baton Rouge Bar and 18th Judicial District Bar Association. He graduated from Catholic High School in Baton Rouge, Louisiana State University, and received his J.D. in 1999 from the Paul M. Hebert Law Center. Michael’s proudest accomplishment is his daughter Olivia. He has coached her in girls’ soccer and volleyball and is actively involved with her schools through charitable work. In the little remaining spare time he has, Michael has competed in and completed several half-marathons and three Ironman 70.3 competitions in Austin and Augusta.